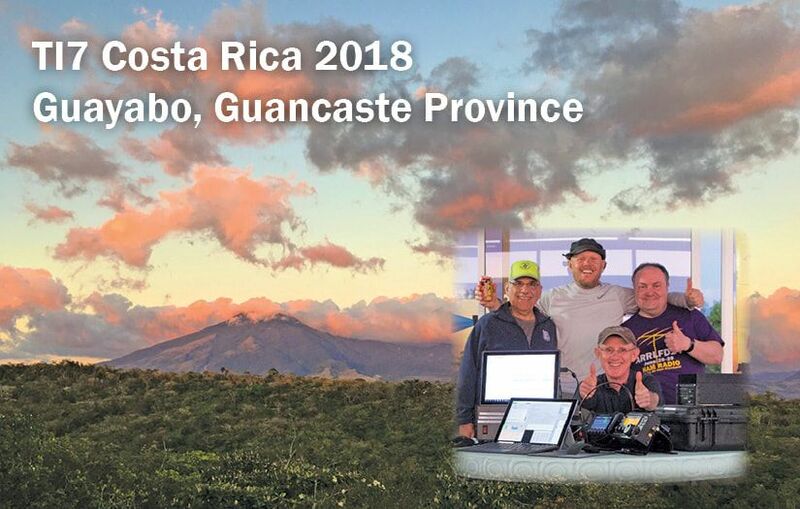 K0BBC, Matt; W6PNG, Paul; W6HFP, Chris and I operated the ARRL International DX Contest from Las Villas de Guayabo in Costa Rica from Feb 27th - March 6th, 2018 as TI7/WJ1B. All QSOs have been uploaded to Logbook of the World. Paper Cards are now available at my call book address below. An SASE would be appreciated, but not necessary.